A David Strauss Memorial Clinical Lecture webinar featuring Deirdre Dawson, Ph.D., Rotman Research Institute at Baycrest Health Sciences, Toronto. Aired live May 24, 2017. 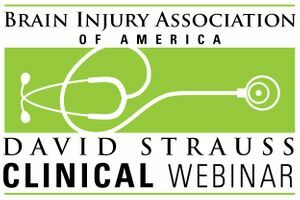 The 2017 David Strauss Memorial Lecture webinar series continues to focus on cognitive rehabilitation. In this presentation, Dr. Deirdre Dawson will explore the deficits in initiation and action that can result from TBI, their diagnosis, and their rehabilitative treatment.